Under this tab you will find a collection of research and evidence collated by The People’s Council of north Wales during phase one of the Deffor’r Ddraig campaign. 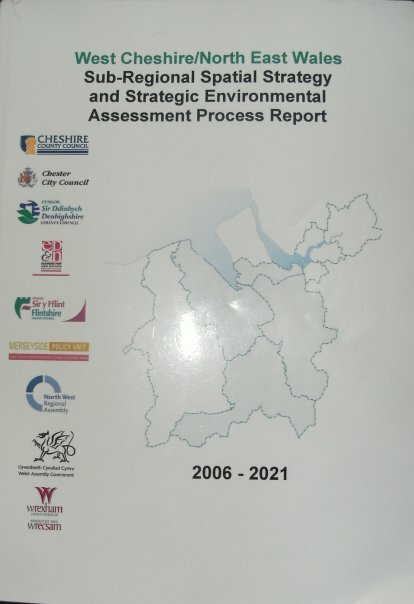 This material was collated between 2008 and 2010 and gives an overview about the West Cheshire Plan, how it was implemented and why the strategy and housing targets within it present a threat to our communities, environment and identity. Although the strategy has now been scrapped, the houses planned within it are still being implemented through our Local Development Plans in north east Wales. Further evidence is also now available which demonstrates how this flawed housing formula is also affecting the rest of the country, please see LDPs for further information.